This looks a lot like the Genesis G70 spy photos. Same car? Or just a very similar design on both FWD and RWD chassis? 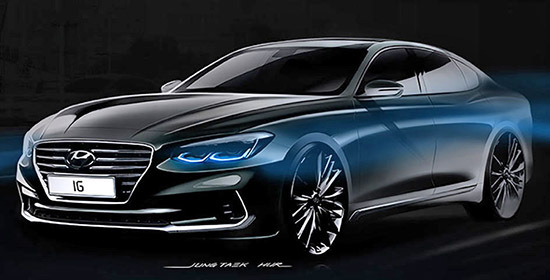 Will the next Azera be a Genesis G60 in the US, perhaps? And the middle sketch looks like a totally different car from he top and bottom ones. 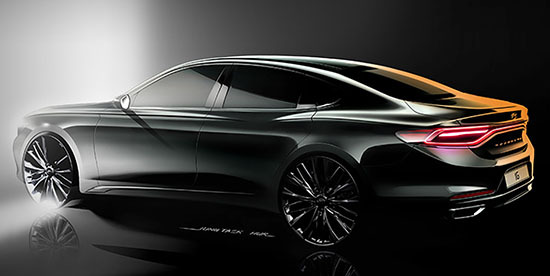 The current Azera came out in 2011 as a 2012 model year, so it is time for a new one. Looks better than the current Genesis. They finally got rid of the cheap square plastic cover for the sensors in the grille.